There are three types of Self Contained One Bedroom units. All have a separate lounge with an LCD TV and Sky, full kitchen/dining with hotplates. The main bedroom has either 1 queen bed or two single beds and a single couch bed in the lounge. Ideal for families with children, or teams. Wifi broadband in all rooms. Bedding configuration varies depending on room unit. Please advise preference at time of booking. (Queen OR two singles, all have pull out single sofa bed in lounge). This is a Self Contained One Bedroom unit. They have a separate lounge with an LCD TV and Sky, full kitchen/dining with hotplates or oven. 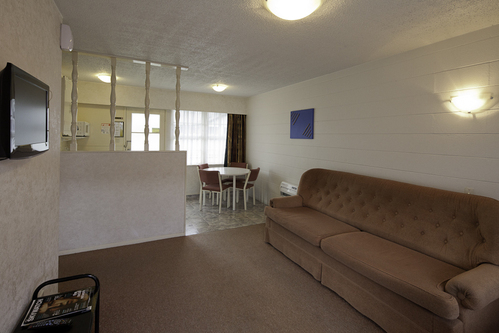 The main bedroom has either 1 super king bed or two single beds and a single couch bed in the lounge plus a roll-away . Wifi broadband in all rooms. Superior One Bedroom unit has a separate lounge with 4 sky channels and LCD TV with Freeview, kitchen/dining with hotplate or oven. 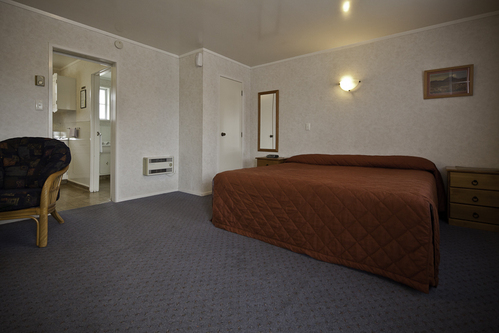 The bedroom has 1 super king bed OR 2 single beds and a single couch bed in the lounge plus a roll-away. There are three types of two bedroom apartments. All have bedding for five people or six with a couple, in two separate bedrooms, separate lounge/dining with LCD TV and 4 sky channels including two sport, and a separate full kitchen with oven. Ideal as a Family or Team room. Wifi broadband in all rooms. TARIFF IS FOR UP TO 4 PEOPLE. Two bedroom apartment has has bedding for five people or six with a couple, in two separate bedrooms, separate lounge/dining with LCD TV and 4 sky channels including two sport, and a separate full kitchen with oven. Ideal as a Family or Team room. Bedding configuration varies depending on room unit. Please advise preference at time of booking. Double & single in one room and three singles in second room. 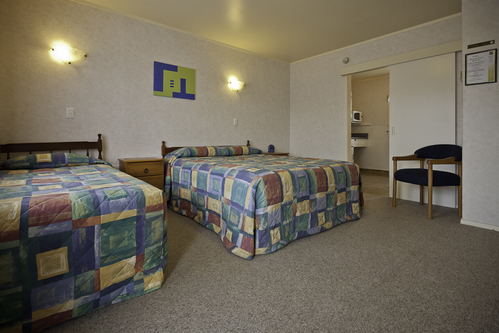 OR Twin beds (Super King on request 2 or more nights) in one room, second room two singles. Pull out couch bed in lounge and roll away. OR Double in one room, three singles in other room, fold out couch in lounge. 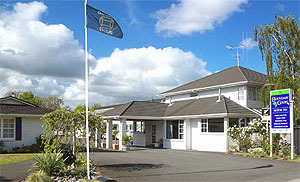 Welcome to Boundary Court Motor Inn, Hamilton, conveniently located on Boundary Road between the Central City and Claudelands Events and Conference Centre. Our comfortable, fresh, well designed suites will make your stay with us enjoyable and relaxing. A mere stroll over the Mighty Waikato River connects you to the heart of Hamilton City. 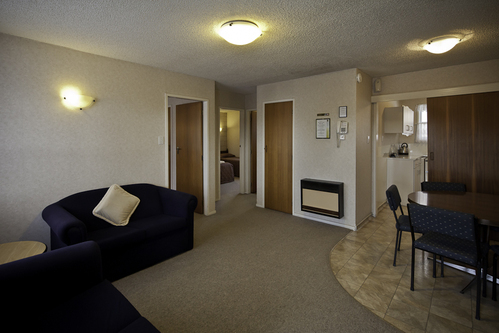 Whether your stay with us is for a business trip or a short/long term holiday, our accommodation at Boundary Court Motor Inn is warm and comfortable and has all you need to make it feel like your home away from home. Cool off on those hot Waikato days in our wonderful solar heated swimming pool and enjoy a BBQ afterwards, or soak in our hot private Spa on a chilly winter evening. Every unit is equipped with cooking facilities and LCD TV's, including WIFI, all of which make Boundary Court a leader in the market. We are fully equipped to accommodate your wants and needs, from guest laundry facilities through to just having the room heated to the perfect temperature for late arrivals on those cold winter nights. 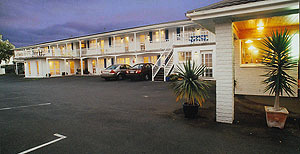 Boundary Court Motor Inn has become a leading Motel property with many of our guests returning from very far a-field. You can trust that we are the best! We are highly ranked and with the attention we pay to detail you will soon understand how we do even the little things right. 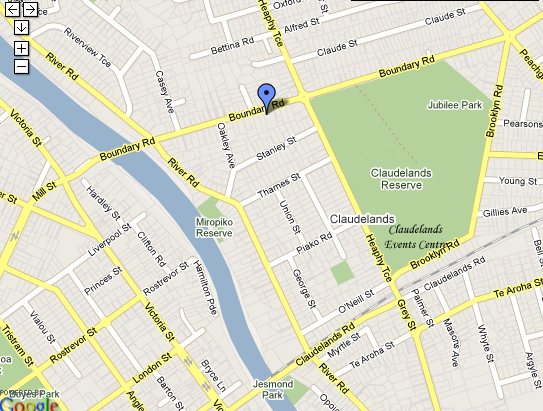 15 mins walk to Claudelands Event Centre. - We have a "no pay, no stay" payment policy, and we require payment upon check-in. - Proof of ID and a Valid Credit Card will be required on arrival. - A Bond of NZD 100 may be required on arrival. - A minimum of 48 hours notice is required for the cancellation / amendment of a reservation over non-peak periods. Cancellations with less than 48 hours' notice may result in a charge of one night accommodation. - A minimum of 30 days notice is required for the cancellation / amendment of a group booking reservation. Thereafter, the deposit may be retained. - Special events and promotional room rates/offers, a ‘no cancellation policy’ applies, which means, no refunds or changes permitted. - We reserve the right to accept reservations that are subject to a minimum stay period over peak periods. - Children under 2 using an existing bed are free. Children requiring an extra bed or baby cot is $20 per night. - Check-in is from 2PM to 9PM. Early check-in and /or late check-out may be available for an extra charge of $20 per hour. - Smoking in the room will incur a $200 fine. - Visitors are permitted at the management’s discretion. The registered guest is responsible for the behavior of all persons/visitors whilst on the property. 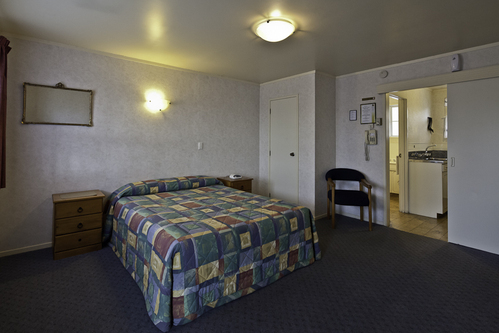 - Any damage to our property and any costs associated with inappropriate behavior resulting in loss of income to the motel, will be charged to the registered guest. - The Motel is not responsible for any valuables left behind. - Please return keys to the reception before departing or there will be a $50 fine.